A Taylor County mother who wanted to spare her four youngest children the pain of her pending divorce tried to asphyxiate them with carbon monoxide so the five of them could "be in heaven" together, prosecutors said Thursday. Heidi S. Mann, 37, told investigators she loaded the kids into an SUV and let the engine run in an enclosed garage for about two hours, according to a criminal complaint charging her with four counts of attempted first-degree intentional homicide. If convicted, she faces a maximum penalty of 240 years in prison. Mann said she and her husband were getting divorced and she was worried the younger children wouldn't be able to handle the situation, the complaint said. The children are 3, 6, 9 and 12. Prosecutors say the alleged homicide attempt happened March 8 at Mann's home in the Village of Rib Lake. Authorities said they weren't told of the incident until this month. Mann was arrested last week and ordered held on a $200,000 cash bond. Police say she told them she spent a few days plotting to kill herself and the kids. She wavered on whether to go through with the plan, eventually deciding that March 8 would be the day. "Heidi stated that she just felt 'peaceful' and felt like she was doing the right thing on that day," the complaint says. "She just wanted to end her pain here and be in heaven with her children," the complaint says. She took her four younger children into the SUV. As the engine continued running she didn't feel anything happening and the kids didn't say anything, the complaint says. The 3-year-old fell asleep but Mann saw he was still breathing. He woke up a short time later. At some point she turned off the vehicle. She told investigators she couldn't say why she decided to do so. Sheriff Bruce Daniels said this week the children were physically OK and were being cared for by family members. A mother who took a selfie with the battered body of the 11-month-old son she had beaten, causing him to suffer brain damage which later caused his death, is today facing prison. Emma Wilson repeatedly hit baby Callum so violently her neighbour's ceiling shook. 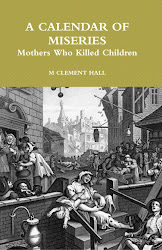 She then blamed the attack on his two-year-old brother, the Old Bailey heard. Callum was rushed to the John Radcliffe Hospital in Oxford with 'catastrophic injuries' on March 20, 2011. 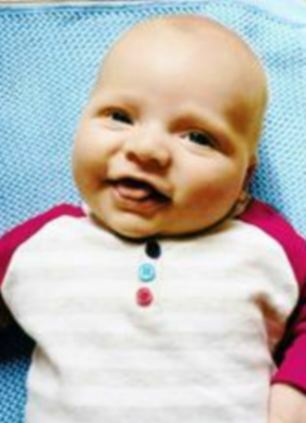 A post mortem revealed the 11-month-old had suffered fatal brain damage. During the attack Callum suffered nine fractured ribs, a broken leg and arm. After inflicting the injuries, Wilson posed next to her crying son, grinning as she took a selfie. The photographs revealed severe bruising to his face and another showed the 11-month-old moving away from a young boy wielding a pair of open secateurs. But in a bid to offer an explanation Wilson blamed the attack on her other child, claiming Callum's 'boisterous' and 'rough' two-year-old brother was to blame. She said he was jealous of his younger sibling. In a gruesome twist, the 25-year-old, who had told people Callum was her cousin's son, buried his battered body in an unmarked communal grave. 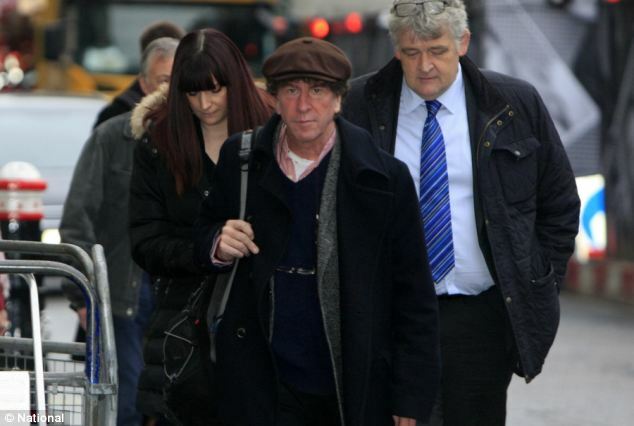 A jury at the Old Bailey took 10 hours to find Wilson guilty of murder by a unanimous verdict. 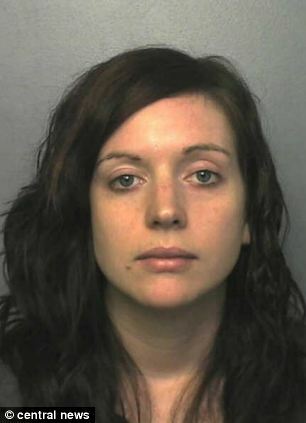 During the trial jurors heard how Wilson left her new-born son in Wexham Park Hospital after he was born on April 23, 2010. She then kept his existence a secret for seven months, while he was in foster care. She claimed she had put her son up for adoption because her boyfriend at the time, Neil Richardson, 'thought she couldn't cope with two children'. In November 2010 Wilson took Callum out of foster care and brought him to live in her council flat in Windsor. She continued to lie about Callum in the months after he came to live with her and Wilson told her nursery he was ‘Callum Keeler’, her cousin’s son. Neighbours described hearing five or six loud bangs that caused the ceiling to shake above their living room the night before paramedics were called to Wilson’s home in Windsor. In cross examination prosecutor Paul Dunkels QC said: ‘It couldn’t have been your eldest child, climbing up the furniture and jumping off. ‘Their evidence was they [the bangs] were seconds apart. 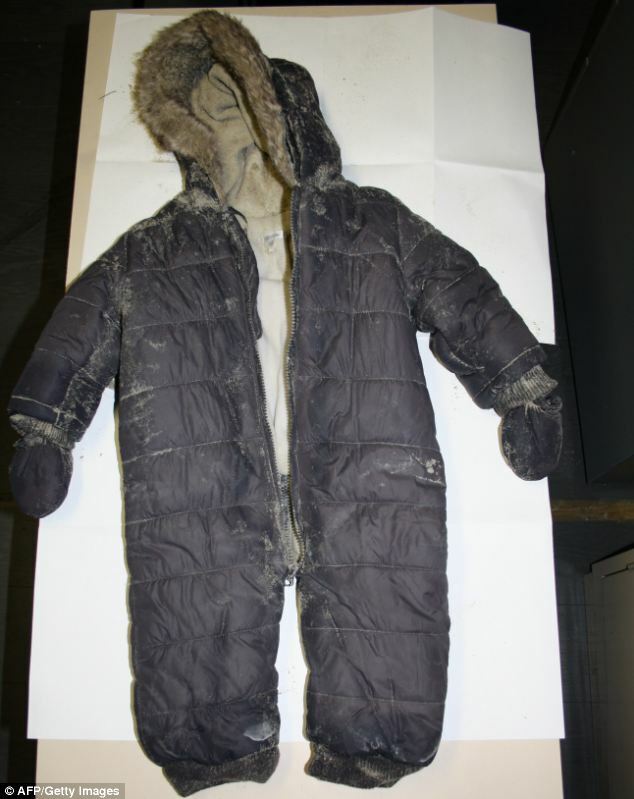 The next morning Wilson had told an emergency operator the child was ‘lifeless and not doing anything'. 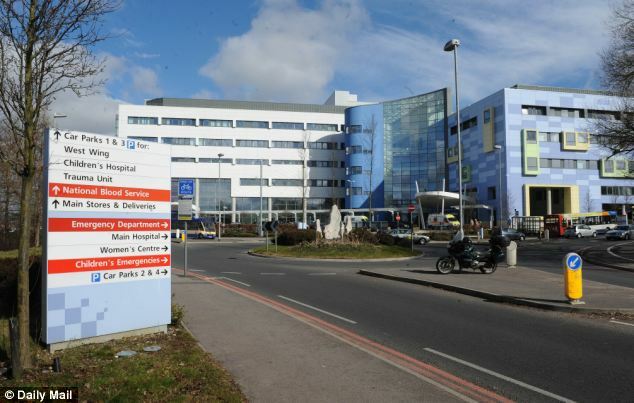 Callum had obvious bruising to his face and later examination revealed he had suffered severe brain damage and fractures to nine ribs, left leg and his right arm. The jury were shown computer-generated images of the injuries, some of which Wilson tried to blame on her efforts to revive her son. ‘I was holding him really tight because his head was very heavy’, she told the court. She added that when she tried to check her son's airway she tore his lip. But Mr Dunkels said that Wilson had been unable to put forward a ‘plausible explanation’ for the injuries. ‘Callum was in her sole care at her flat throughout that 13-hour period and nothing she has said can explain what has happened to him. Wilson was accused of killing her child because she knew her partner at the time, Neil Richardson, was not the father, according to her defence barrister Michael Turner QC. Wilson denied murder. She will be sentenced on January 24. 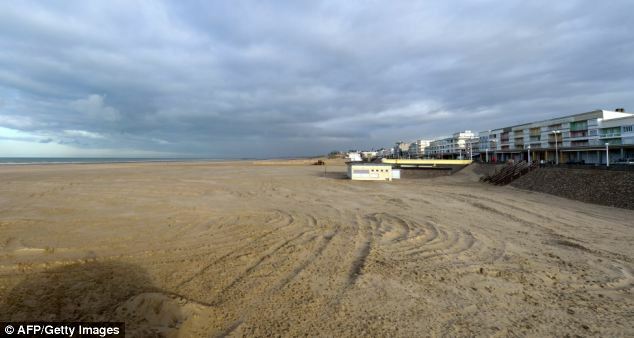 A mother faces life imprisonment after confessing she drowned her 15-month-old daughter in the English Channel because the child was 'incompatible' with her love life. 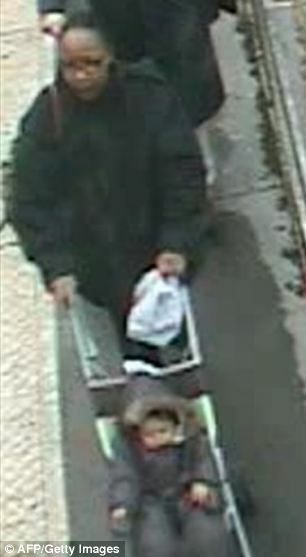 CCTV footage has emerged of Fabienne Kabou, 36, from Senegal, pushing little Adelaide to the coast of Berck sur Mer on November 19. The next day, Adelaide was found dead, strapped in a pushchair submerged in the water, by a fisherman. After ten days of searching nationwide, police used DNA from the pram to trace Ms Kabou to the home she shares with a 63-year-old man in Paris, where she was arrested. Ms Kabou, a philosophy student, told police she took the drastic move after deciding motherhood was 'incompatible' with her love life with Adelaide's father. 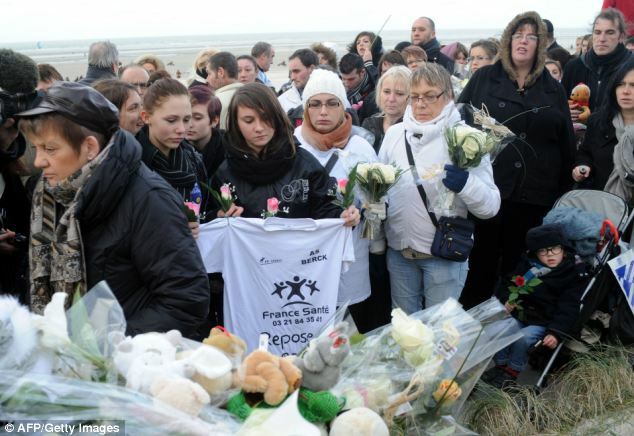 The case has sparked outrage as hundreds took to the streets outside the court and on the coast in a White March - a French style of demonstrating against child cruelty. Ms Kabou had told her boyfriend, a sculptor, that she had handed over the little girl to her grandmother who had agreed to look after her in Senegal, police claim. On Saturday, Kabou was taken under Police guard to Boulogne sur Mer and questioned for four hours by an examining judge in a closed court session. The judge placed her under investigation for murder. She was remanded in custody pending her trial. Her lawyer Fabienne Roy-Nansion who was present during the interrogation said that her client had made a full confession. In an interview with Le Parisien newspaper the father of Adelaïde said that Fabienne Kabou had been 'a magnificent' mother to her child. Neighbours of the couple said they were at a loss to understand how the mother of the Adelaïde could have wanted to be rid of her. 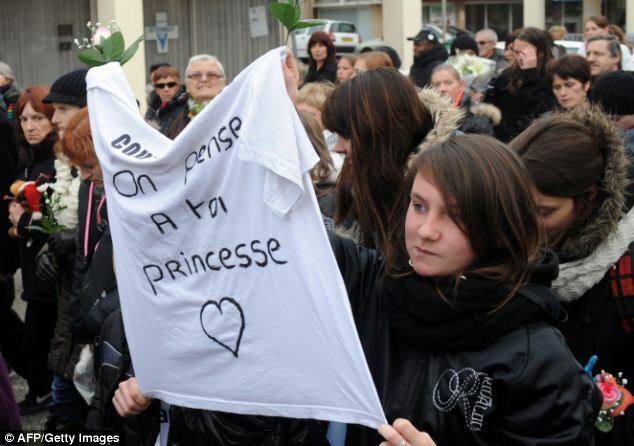 Hundreds have taken to the streets in the past couple of days paying homage to the little girl in a White March. 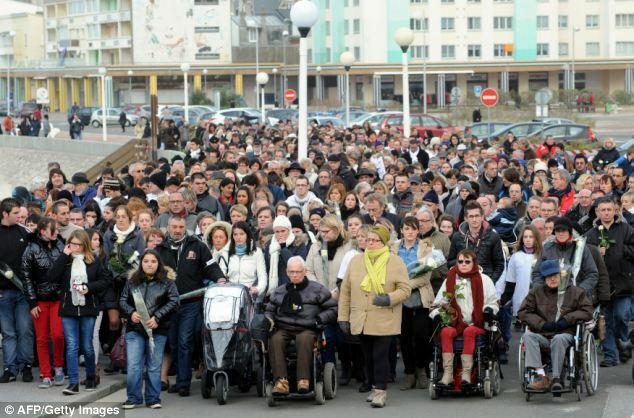 The first White March took place on 1996 in Belgium as people demonstrated against Marc Dutroux, a serial killer and child molester. 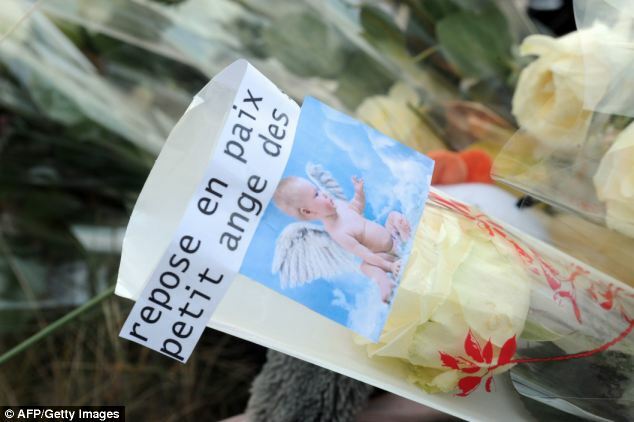 Gerard Lopez, the president of the Institute of Victimology and legal expert at the Paris Court of Appeal, told 20minutes.fr: 'First and foremost, she wanted to save her marriage by killing her child. 'This would probably not have changed anything. 'She is not crazy. Her actions were premeditated. 'The investigation will now determine whether the woman was a victim of domestic or psychological violence from her partner. 'Some develop narcissistic and immature behavior at the birth of a child. Mairead Philpott, who was jailed in April for killing her six children in a house fire in Derby, has had her 17-year sentence upheld by the appeal court. 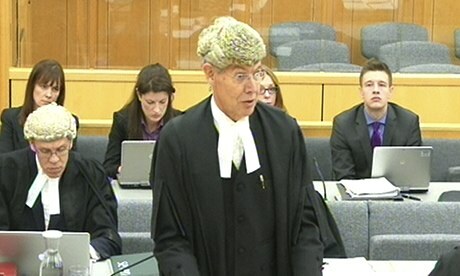 The hearing was the court's first case outside London to be shown live, with a 70-second delay, on television and websites. Philpott, 32, was jailed alongside her husband Mick at Nottingham crown court in April after being found guilty of the manslaughter of Jade Philpott and her brothers John, Jack, Jesse, Jayden and Duwayne, who were aged between five and 13. Despite losing the first round of her attempt to challenge the length of her sentence, her lawyers succeeded in making a renewed application. 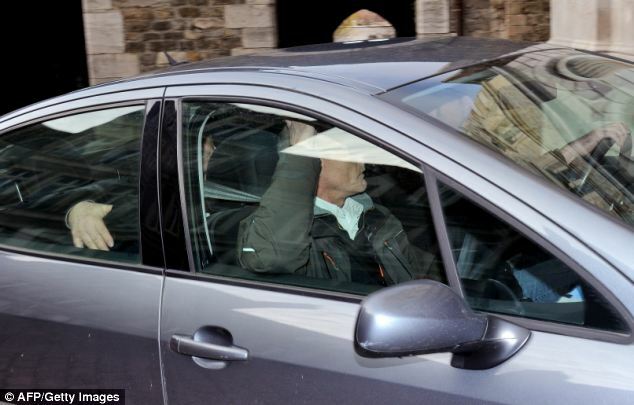 Mairead Philpott was not visible in court. The regulations covering court of appeal broadcasts, which began last month, require cameras to focus only on the judges and lawyers who are presenting their arguments. The feed is on a 70-second delay to prevent any disturbances being broadcast. The new lord chief justice, Lord Thomas, who is keen to take appeal court sittings outside London, was one of three judges on the bench. Announcing the court's decision, Thomas said that although Mairead Philpott was under the control of her domineering husband, she was on occasions capable of standing up to him. She had, however, chosen to support his plan to set fire to the house and blame it on her husband's former mistress. "This was not a spur of the moment plan," Thomas said. "It was one that had been carefully and deliberately thought out. The risks of pouring petrol inside a building and setting it alight must have been obvious. Her children were upstairs. She actually participated in setting the fire." 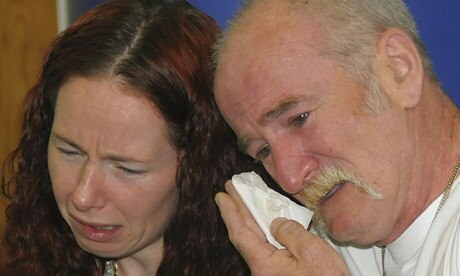 Mick Philpott was jailed for life with a minimum term of 15 years after being branded a "disturbingly dangerous" man. The broadcast was cut short after the decision upholding her sentence was announced, when applause and clapping erupted in court. Before the hearing the courts minister, Shailesh Vara, said: "This is another landmark day for justice. For the first time cameras will be able to live broadcast a court hearing outside of London. "It will give people across the country the opportunity to see and hear the decisions of judges sitting in Nottingham, which is a significant step towards achieving our aim of having an open and transparent justice system. "Justice must be seen to be done and today marks another important step towards opening up the court process to bring justice closer to the public. "However, we will always balance the need to make the justice system more accessible with the needs of victims and witnesses. 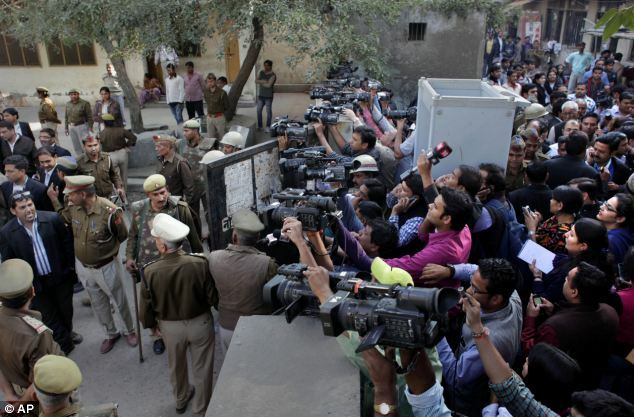 That is why we will ensure that throughout the court process, they will not be filmed." Bruce Edwards/Postmedia News filesAn examination room at Stollery Children'­s Hospital. 27-month-old "Baby M" was on life support at the hospital as a legal battle raged on over her case. CALGARY — A two-year-old Edmonton girl allegedly abused by her parents has died after the Supreme Court of Canada rejected a request to keep her on life support. Sources confirmed that the toddler died Thursday night at the Stollery Children’s Hospital in Edmonton after being removed from a ventilator. The parents, facing child-abuse charges and being held at the Edmonton Remand Centre, had asked the Appeal Court of Alberta that they be allowed to visit their daughter one last time. Earlier in the day, the parents of Baby M lost a last bid to keep their daughter on life support — and avoid being charged with her murder. The Supreme Court of Canada rejected their request for an emergency stay, which would have kept the toddler alive long enough for the court to hear an appeal of the Alberta Court of Appeal’s decision to let the girl die. The two-year-old has been in a vegetative state for months, ever since paramedics were called to her Edmonton home on May 25 to find her emaciated — she weighed only 13 pounds — and with a head injury. Her twin sister was also malnourished, at 16 pounds. The sister is now in foster care, as is an older brother, who had also been living in the home but wasn’t injured. Her 34-year-old parents are charged with aggravated assault, criminal negligence causing bodily harm and failing to provide the necessities of life, charges that are likely to be upgraded now that the child has died. Doctors told the courts Baby M was virtually brain- dead with no hope of recovery.On Wednesday, the Alberta Court of Appeal denied the parents’ request to keep the toddler on life support.In his judgment, Justice Frans Slatter confirmed the lower court’s decision, saying there were no overriding legal concerns that should obstruct the child’s best interest, which is to let her die. Upon review, we cannot see any error in that previous decision that would warrant interference by this court,” the judge said.“The sanctity of human life is one of the core values of our society and justice system, but life is not without end.”The parents, who cannot be identified, filed a motion with the Supreme Court of Canada asking it to intervene. They said love and their religion — they are Muslims — demanded they keep the child alive.They did, however, sign a do-not-resuscitate order if her heart failed.Muslim scholars have questioned the couple’s reasoning, claiming Islam does not mandate extraordinary measures to keep people in vegetative states alive. Carissima Mathen, an associate professor who specializes in constitutional law at the University of Ottawa, said there was an argument for keeping the child alive long enough to hear the case. However, the court does not have to explain why it would not hear the appeal. Tim Caulfield, a specialist in health law and policy at the University of Alberta, said the previous rulings were all sound. “The decision was so sensible. [The judge] touched on all the factors, the religious belief issue, she touched on the potential conflict of interest issue. At its core, this was really about the best interest of the child and she really kept the focus on there,” he said. Denied bail after their arrest. The Supreme Court of Canada will not hear an appeal in the case of an Alberta child who was taken off life support over the objections of her parents, who were charged in her death. After the two-year-old known as Baby M was removed from her home in May 2012, doctors declared her to be permanently comatose and recommended removing life support. Her parents, who were charged with assault and criminal negligence in the case, fought the decision in court, citing their love for the child and their religious beliefs. The courts sided with the doctors and the Supreme Court refused to stay the Alberta court order. The child died shortly afterwards and her parents were charged with second-degree murder and criminal negligence causing death. As usual, the Supreme Court gave no reasons for refusing to hear the appeal. 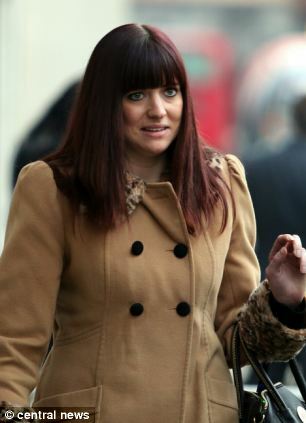 Emma Wilson, 25, who is on trial at the Old Bailey for the murder of her 11-month-old son Callum, today told a jury his 23-month-old brother is responsible for inflicting the injuries that led to his death. Callum was taken to John Radcliffe Hospital in Oxford in March, 2011, with a detached retina, which had caused him to lose his sight. He had multiple fractures and bruises all over his body, and died two days later. The trial continues. 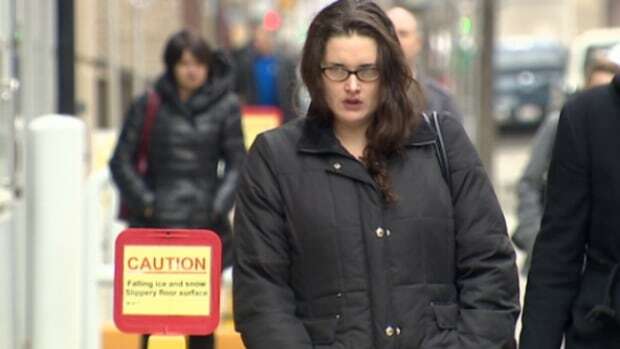 Meredith Borowiec, who told police she left three of her newborns in dumpsters, was found guilty today in a Calgary court on two counts of infanticide. 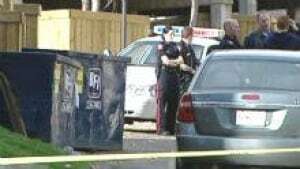 The Calgary woman, who is in her early 30s, will be tried on an attempted murder charge at a later date. Charges were laid against Borowiec​ after a baby was found alive in a dumpster near her house in 2010. While being interrogated by police, she told them she had previously abandoned two other babies in dumpsters. She had been charged with two counts of second-degree murder in relation to the deaths. Court of Queen's Bench Justice Peter McIntyre said Tuesday there was evidence to suggest the mother's mind was disturbed after giving birth, so a murder conviction wasn't warranted. "Justice McIntyre gave a very well-reasoned decision and the long and short of it is Ms. Borowiec was convicted of wilfully killing two newborns," said Crown prosecutor​ Jayme Williams. "It's a difficult case, there were no bodies found and we were going on the admissions she made to police." During a police interview, Borowiec said she had given birth to babies in 2008 and 2009. She said in both cases she wrapped the babies in a towel, placed them in a garbage bag and put them in a dumpster. She said that in all three cases case she hid the pregnancy from her long-time partner. In July 2012, while in custody at the Southern Alberta Forensic Psychiatric Centre, Borowiec gave birth to a fourth child. That baby, a boy, was given up for adoption. Borowiec will remain on bail pending sentencing. An Indian court on Monday found a dentist couple guilty of murdering their 14-year-old daughter and a servant five years ago, in a dramatic finale to a case that transfixed the country and tapped unease on both sides of the rich-poor divide. 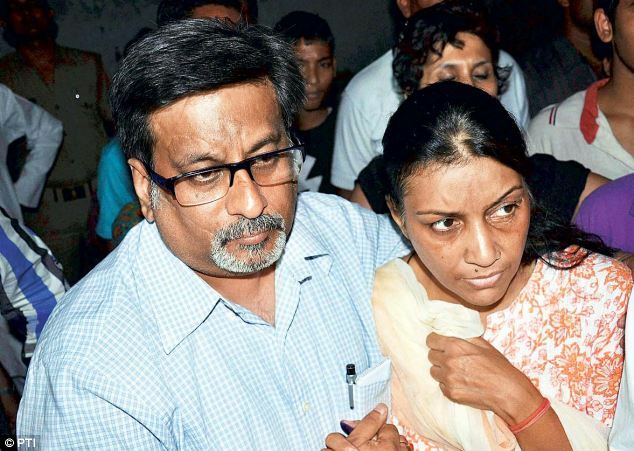 Aarushi Talwar was found with her throat slit at the family home in Noida, an affluent town of new shopping malls and offices near Delhi, in 2008. A day later, the body of the Nepalese family servant, Hemraj, was discovered. 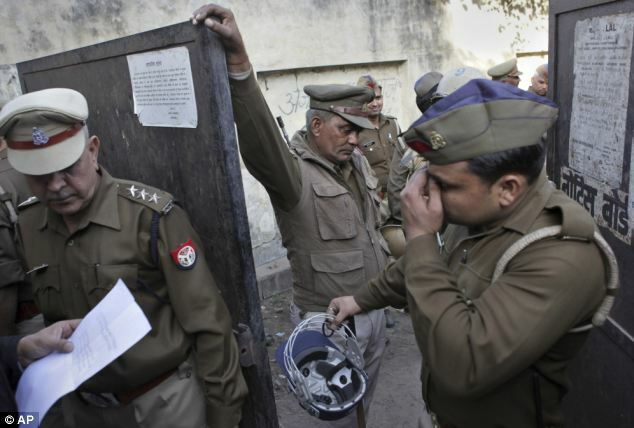 Rajesh and Nupur Talwar were convicted in a local court in Ghaziabad, near Noida, and remanded in custody ahead of sentencing on Tuesday - they could face the death penalty. Early in the investigation, police alleged Rajesh had murdered his daughter and servant in a rage after finding them in a compromising situation - the kind of crime more often associated with rural, conservative parts of India where 'honour killings' are not uncommon. But the case was plagued with blunders from the start. 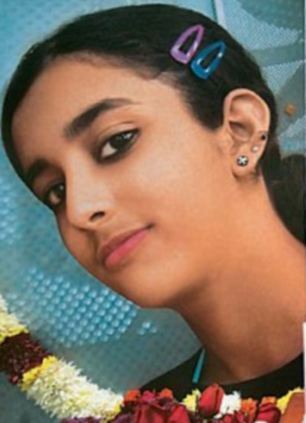 In the hours after Aarushi, was found dead in her bedroom, police named Hemraj as the prime suspect. They even dispatched a team to Nepal to look for him. 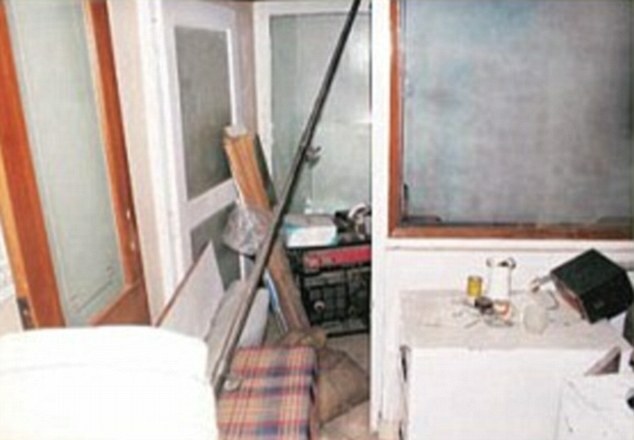 But the housekeeper wasn't missing - his body was discovered lying on a terrace above Aarushi's room. It had been there the whole time. 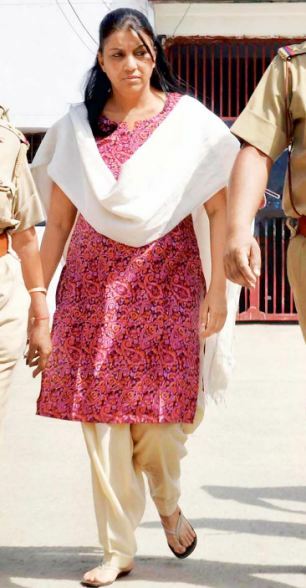 The Talwars came under suspicion early on, and police said the manner of the girl's death suggested she was killed with surgical precision, a clear nod to the Talwars' medical profession. 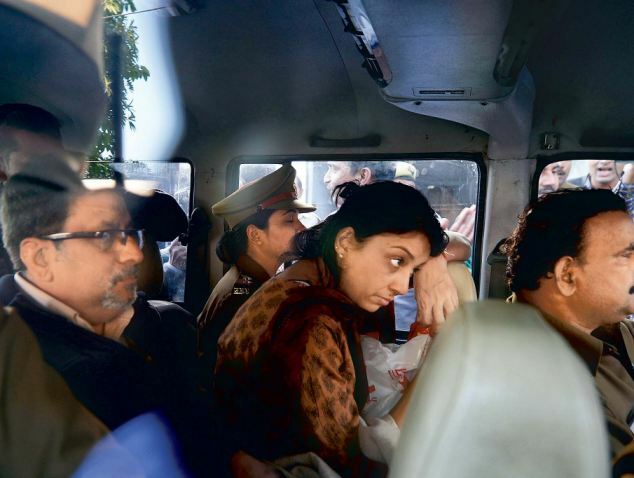 'The way in which Aarushi's throat was cut points out that it was the work of some professional, who could be a doctor or a butcher,' a top police official, Brij Lal, told reporters in 2008. Police have offered several possible motives, including an honour killing. Although authorities questioned other possible suspects, the case stalled. 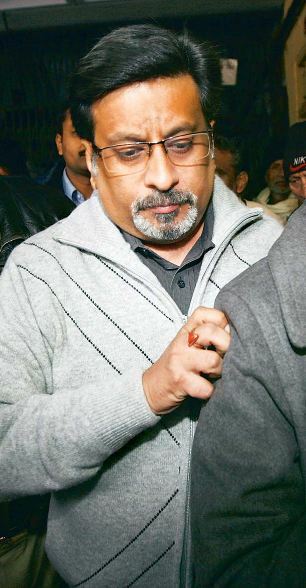 In 2011, the Talwars demanded a fresh investigation. They also described a Kafkaesque trail of botched police operations, arrests, 'truth serum' tests and contradictory rulings by different investigative bodies. 'There were so many circumstances that proved that no one could have committed the murder other than the two accused,' he said. 'But at least now there is some progress and people are talking about it,' he said. Security footage last week of a machete attack on a bank employee withdrawing cash from an ATM in Bangalore to pay for her child's birthday party was played repeatedly on news channels. She was partly paralysed and the attacker is at large. Filicide: killed by a parent while legally a child.